Despite his recent track record, Paul Schrader's overall contribution to cinema should not be scoffed at. He was, after all, responsible for penning three great Martin Scorsese movies (Taxi Driver, Raging Bull and The Last Temptation of Christ) and one okay one (Bringing Out the Dead), as well as directing the likes of Blue Collar, American Gigolo and Light Sleeper, all interesting movies in their own right. Of recent years, he's been stuck in the straight-to-DVD game, churning out schlock to help raise funds for his own underwhelming personal projects. Teaming up with cinema-dodging king Nicolas Cage for the second time (after 2014's Dying of the Light), Schrader's latest - an incredibly violent and misanthropic crime thriller called Dog Eat Dog - may just be worst thing the once-respectable writer-director has ever put out. Back in 1976, Schrader's script for Taxi Driver immersed us in the seedy and scum-laden underbelly of New York, a part of the world unseen by the majority of us, and demanded that we contemplate this world of our making. 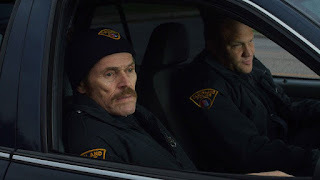 With Dog Eat Dog, Schrader seems happy to relax into a cliche-ridden world of motor-mouthed ex-cons, prostitutes in hotel rooms, and the "one last job" that will allow these anti-heroes to escape their life of crime. Cage plays Troy, the brains of the gang fresh out of prison. His friend Mad Dog (Willem Dafoe), has recently committed a double murder and certainly lives up to his nickname. Diesel (Christopher Matthew Cook) is the muscle of the group who, we are told, possesses great intelligence despite his ogreish appearance. They are rounded up by crime boss 'The Greek' (Schrader himself) to pull off a baby kidnapping, a job that could land them a handsome payday. Based on the novel by Eddie Bunker, which I haven't read, Dog Eat Dog feels like it has been thawed out from the 1990s, back when Quentin Tarantino's output was still influencing every low-budget, independent feature. With Cage and Dafoe turning their bonkers shtick up to eleven, it's clear that Schrader intended for this to be a comedy. Are we meant to laugh at a knife murder because the woman is overweight, or at Troy as he threatens to blow a woman's backbone through her belly? Apparently we are, although I can't imagine anybody actually raising a chuckle. 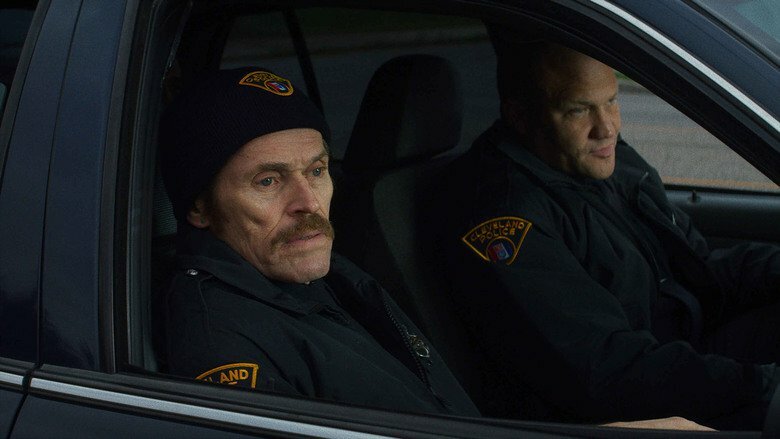 Dog Eat Dog is an unpleasant and utterly aimless piece of trash, with scenes connected by a plot so thin that it feels like Schrader's finger is on the random button. There's a brief moment of tension when the gang find themselves in an increasingly hostile neighbourhood, but True Detective already did it with more pizzazz 3 years ago. Above all, Dog Eat Dog is painfully boring, and even at just 90 minutes, I found my eyes constantly checking the running time.